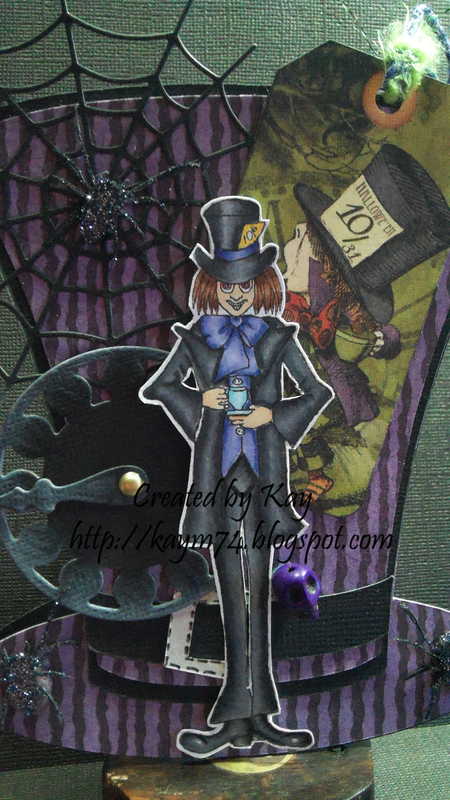 Hello and welcome back to Cards By Kay this is the mid way reminder for our current challenge scary stories, I have chosen Hatter from Ikes Art. I have used a file from my Silhouette Studio called Lepracon Hat. My papers are from the Graphic 45 Halloween in Wonderland Collection as is the tag !